First established as a brewery in Norwich in 1837, Bullards was reborn in 2015 initially with the revival of brewing. This was swiftly followed one year later with diversification into hand-crafted gin. 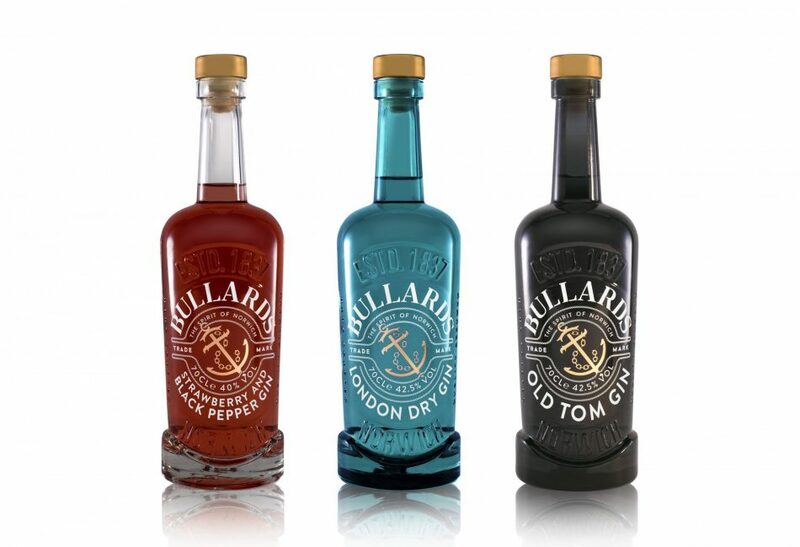 Bullards London Dry Gin and Strawberry & Black Pepper flavour have both achieved great success amongst gin connoisseurs across the UK, picking up a slew of industry awards, and are soon to be joined by newest expression, Old Tom Gin. The first gin distillery in Norwich for over 150 years, Bullards gins are currently made on site at The Ten Bells pub on St. Benedicts Street and the company has recently unveiled plans for expansion to new premises with a planning application for distilling equipment to be installed at the iconic Crystal House in Norwich. To demonstrate the closeness of their ties to Norwich, where the brand has been a household name for 180 years, and roll it out further afield, Bullards is spearheading a movement to share ‘the Spirit of Norwich’. The strapline features prominently on new packaging, is emblazoned on the walls of the Ten Bells and will continue to be the focus of brand development over the coming years. That spirit is already evident via Bullards support of the Canaries: the company has recently started a new partnership with Norwich City Football Club, becoming the exclusive gin supplier to Carrow Road for the next three years. So why are they working with us? To cut a long story short, Bullards’ ambitious growth plans mean they require external support to spread the word about their new products and their future development plans. And as Norwich is such a crucial part of their brand heritage, they were delighted to find an agency with relevant experience on their doorstep. As a former marketing agency owner himself, chairman Russell Evans understands both the value of PR to a brand, as well as the benefits of partnering with a specialist agency to deliver that value.